Meet Dominique, one of our 2014 RFL Summer Festivals Tour Interns! Dominique will be attending most of the Summer Festivals! We are so excited to have her on board this summer and so thankful that she has given her summer up to spend it with us, spreading the human rights for all message, born and preborn through music, education and action! 5. I am not giving up my summer to work with rock for life, I am using my summer to travel and do something I am passionate about! Are you passionate about LIFE and human rights? Do you have a desire to share your passion with others? 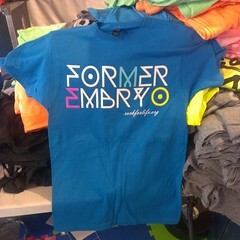 Do you want to educate and activate the younger generation to not only be pro-life, but to act upon it? If you answered yes to these questions, then an internship with Rock for Life’s Summer Festivals Tour is just for you! 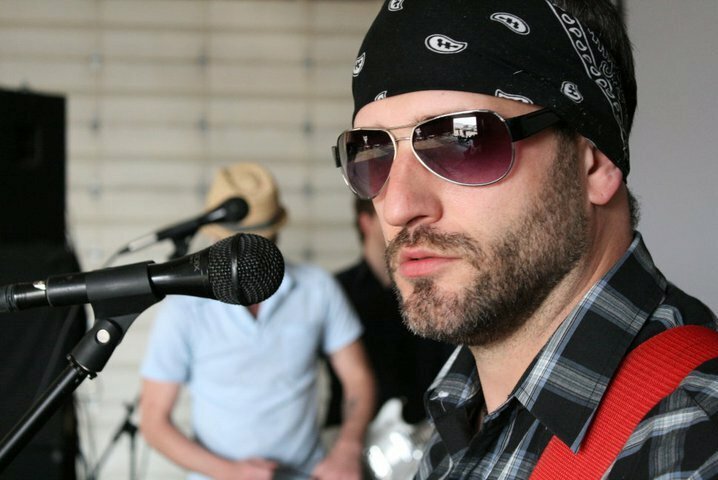 The Rock for Life Summer Festivals Tour is an annual event that starts in June and lasts through most of the summer. 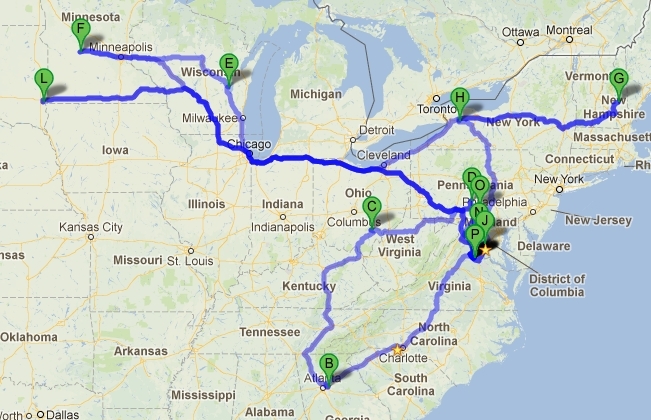 The bulk of the tour begins the second weekend in June and lasts through mid-August. A Rock for Life Summer Festivals Intern attends numerous Christian Music Festivals, has an opportunity to see a lot of great bands, meet a lot of great people, camp, see the countryside, see young people convert to the pro-life truth and even see babies lives saved from abortion! 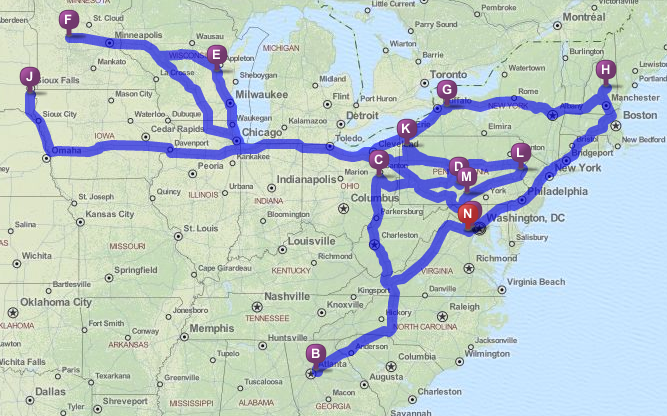 What does a typical week look like for a Rock for Life Summer Festivals Intern? 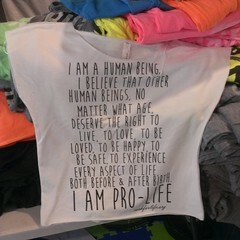 We are looking for individuals who not only have a desire to spread the pro-life message and recruit young people to our movement, but also individuals who need experience in pro-life educating, recruitment, merchandising, management, social media, blogging, photography, video and many other skills associated with an endeavor like this. This is a great opportunity to not only do great work but also to gain valuable experience. Creation Festival East; Shirleysburg, Penn. If you are interested in the Rock for Life Summer Festivals Tour Internship – the full summer, one week or anything in between – please fill out this form and get it to us as soon as possible. We look forward to hearing from you! This morning I attended the “Prayer and Rally at the Supreme Court for Religious Freedom.” Here, I not only attended but I also provided the sound system for the rally and I got to listen to some amazing speakers – including my wife! For those of you who don’t know Hobby Lobby is suing Kathleen Sibelius for attempting to force them and all employers to provide health insurance that covers birth control. 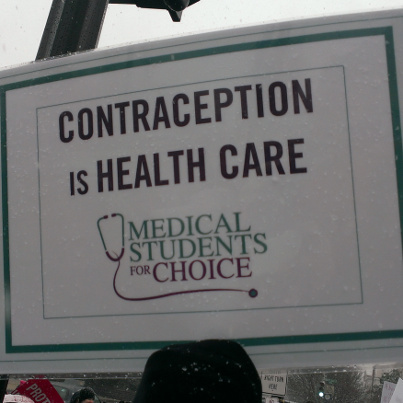 Birth control is one thing, but many forms of birth control can cause abortion – in other words, they are abortifacient. Therefore, in the name of “health care” and “birth control” the Obama administration is forcing employers to pay for their employees abortifacients. 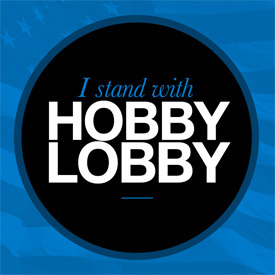 This goes against the religious and conscience convictions of many Americans, including Hobby Lobby. 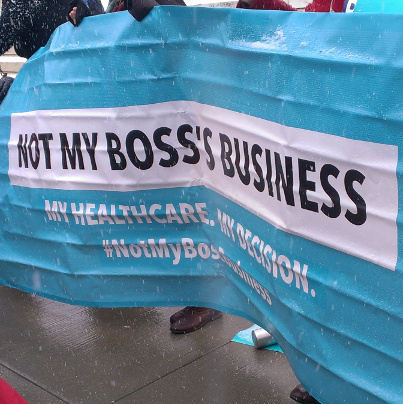 Next to our rally was another rally in support of forcing Hobby Lobby and all employers to provide health insurance that covers / pays for birth control including abortifacients. 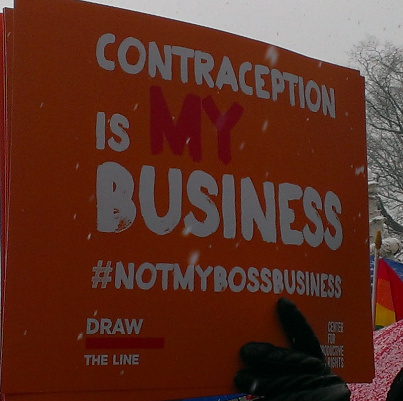 The event was called, “My Birth Control Is Not My Boss’s Business! Rally.” I found the name of the rally and the whole meaning of it not really making much sense. If birth control is not their boss’s business, then why are they attempting to force their boss to provide to them health insurance coverage that provides them their birth control / abortifacients even against their religious / conscience convictions? Doesn’t that in and of itself MAKE IT THEIR BUSINESS? Just doesn’t make sense. Regardless, below are some pictures I took of their signs and in some cases, some pithy remarks from me! ENJOY! Oh, and feel free to comment your thoughts on this topic and/or their signs. 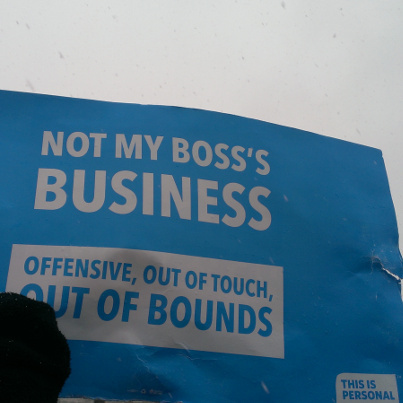 This was the main messaging and the main sign. Again, if it’s not your boss’s business, then why are you making him/her pay for it? 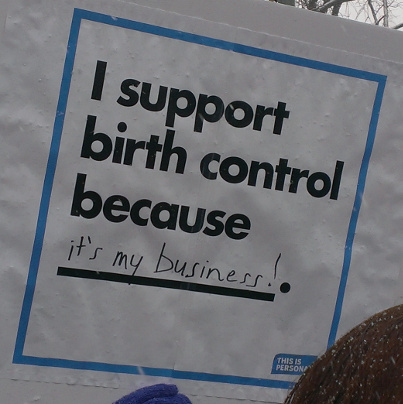 That in and of itself makes your birth control his/her business. Forcing your boss to go against their religious/conscience convictions is offensive, out of touch and definitely out-of-bounds. No, it’s not your healthcare if you make someone else pay for it. No, it shouldn’t be your decision to force your boss to go against their religious / conscience convictions to pay for your birth control / abortifacients. 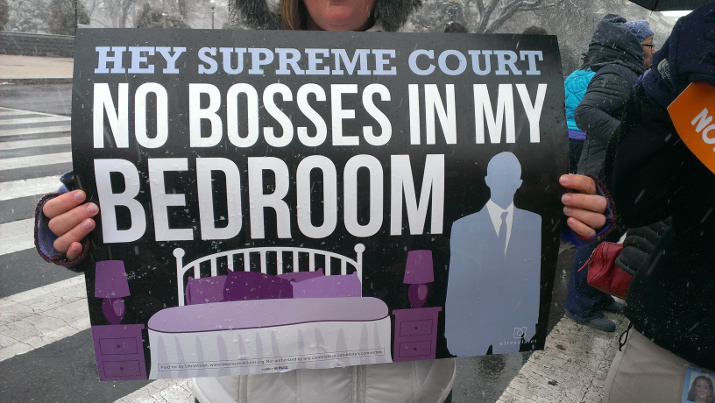 Clever, and I agree of course if it’s consenting and your boss or employee is your spouse! But I don’t think that’s what they mean. By forcing your employer to pay for your health insurance plan that covers your birth control / abortifacients against your employers religious / conscience convictions you have already invited your boss into your bedroom. This one is funny, because it’s so ridiculous. 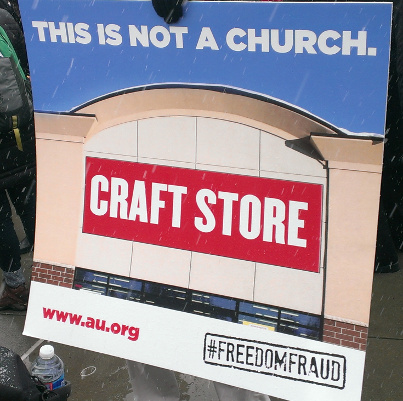 Hobby Lobby doesn’t have church services in their stores. Actually, they are closed on Sundays – you know, the day MOST churches hold church services. Maybe because this is sponsored by Americans for the Separation of Church and State. They should probably research what a church is before they wish it to be separate from the state. And how is Hobby Lobby part of the state? And how is forcing Hobby Lobby to go against its religious / conscience convictions by providing health care the covers their employees birth control / abortifacients ok? This is a fun one. 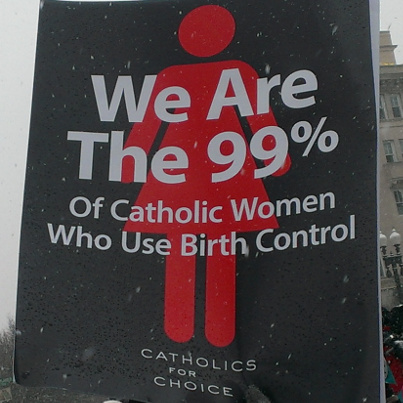 First of all, no one there could site a source to prove 99% of Catholic women use birth control. Now I’m not Catholic but my understanding is natural forms of birth control are acceptable, contraception is not while abortifacient drugs and obviously abortion in and of itself a major NO NO! Regardless, rally attendees kept chanting, “We are the 99 percent.” So, I’m not sure were they all Catholic? So I asked a few ladies what that chant meant. I received various responses, none of them once quoted the signs that were right in front of their faces. Some said it referred to 99% of all women are on birth control. 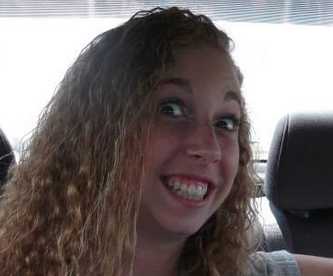 Some said 99% of all women will used birth control during their lifetime. Some said 99% of all people believe using birth control is ok. It was definitely a MIXED MESSAGE – one that was used the most but no one really even seemed to understand why they were chanting it. LOL!!! You are right, it is your business! But when you force others to pay for it, it then becomes their business as well. If you want it to remain your business, then, well keep it your business. Pay for it YOURSELF! It WAS your business. Now it’s not. I draw the line at forcing others to pay for it. Now it’s not your business. SORRY!! I can understand this, to a point. Some forms of contraception are abortifacient. Aborting human embryos is, well not health care for those people. Not sure how forcing employers to pay for it is health care. Yes it is! Employers also have bodies! And religious /conscience convictions as well. Let’s not forget that, ok?!!? 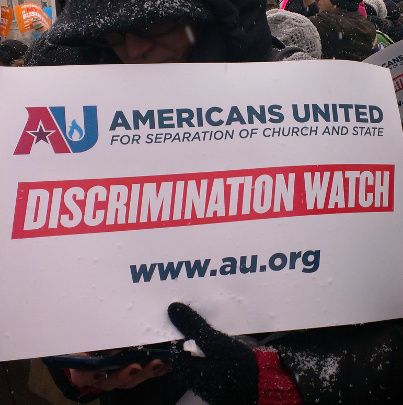 So it’s not discrimination to force employers to violate their religious / conscience convictions? You need to be consistent, guys. You get the point. We could go on and on and have lots of fun! There were lots of crazy signs, officially from organizations and organizers to even crazier homemade signs. I’ll post the rest below in a slide show. Next time, if you ever have a chance to join us for a pro-life rally at the U.S. Supreme Court you HAVE TO BE THERE. 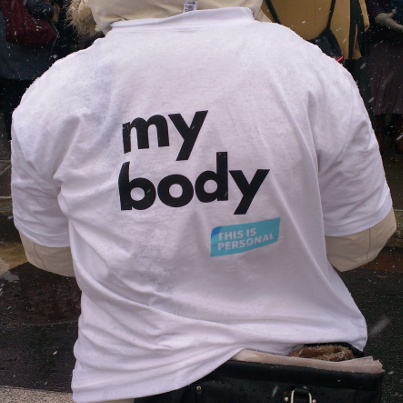 It is not only very important to have your support and to show abortion sympathizers as well as the mainstream media and DC politicians, but it is also a great way to get experience with “on the streets” form of activism. It is very eye-opening and can be lots of fun as well. Hope you enjoy the photos, let me know what you think! The 40 Days for Life campaign has announced that as of the 13th day they have seen 142 babies lives spared from abortion. Prayer, fasting and public witness works – it saves lives! 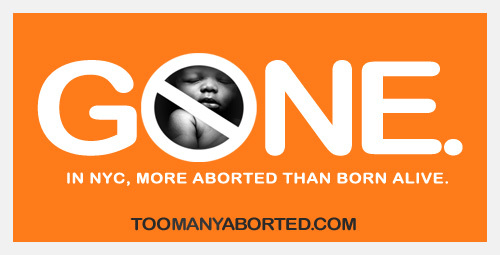 There is still plenty of time to get involved in your local 40 Days for Life campaign. 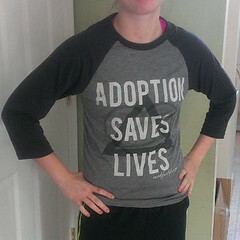 Click here to find one near you!